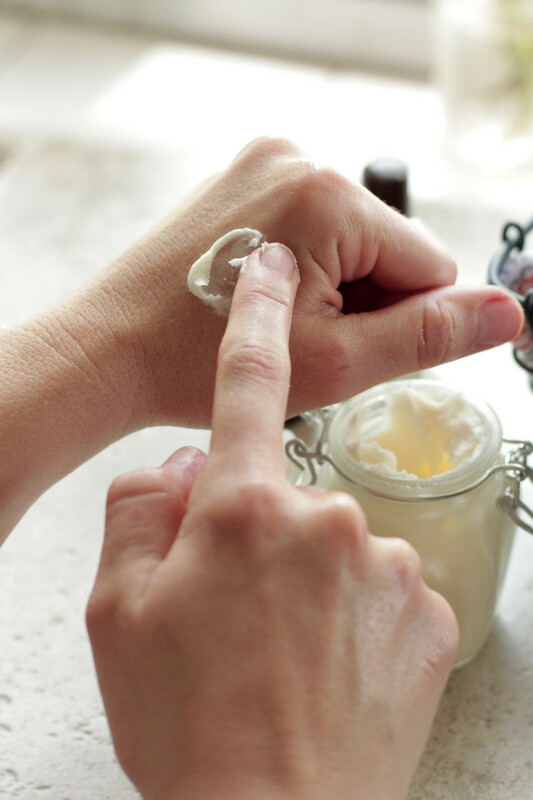 A Simple Homemade DIY Hand Cream for Soft Skin - Cherry Colors - Cosmetics Heaven! I use my hands for everything that I do. On a daily basis, they endure a lot of abuse. Cleaning my house, I find that my hands become quickly dried out from washing dishes and scrubbing floors. Days when I am doing my office work the dry environment and shuffling of papers leave them cracked and dry. When my hands are dry, itchy, or cracked they not only look much older than they are but it can be difficult for me to accomplish daily tasks. Our hands do so much for us. We need to be sure that we are taking the time to care for our hands by keeping them soft and healthy. I am able to control the quality of the products. I know exactly what I am putting on my skin. 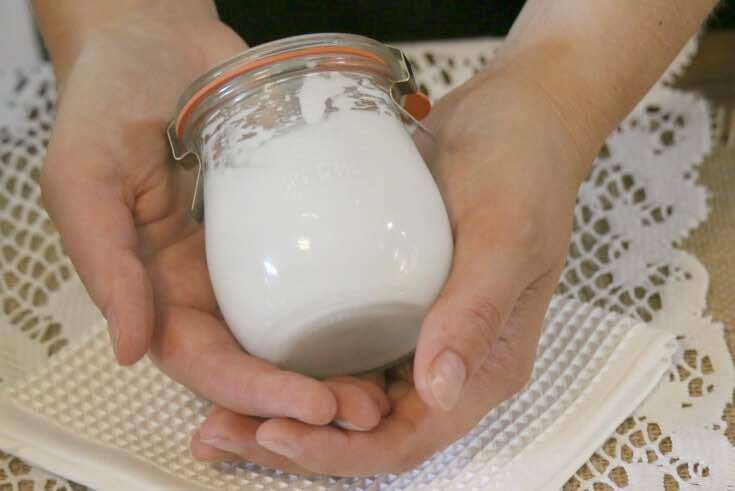 Continue reading for a recipe for a DIY hand cream that will not only leave skin feeling refreshed and conditioned, but is naturally beneficial to your skin. When purchasing supplies for your hand creme, ensure that you are using only high quality, all-natural products from reputable brands. 1. Melt and mix the Shea Butter, Almond Oil and Beeswax using a double boiler. If you do not have a double boiler, I have found using a glass measuring cup inside a pot of simmering water is just as effective. Stir as the oils melt. 2. Once everything has melted and blended, remove from heat and allow to cool for 5-10 minutes. 3. Finally, add the essential oils and mix well. Add your new hand cream to a glass bottle and allow to harden. The cream may take several hours to harden. I use this mixture daily to alleviate and prevent dry skin. Most days, I will apply the cream before I go to bed to ensure it stays on my hands a long time, increasing its efficiency. I have found that if I leave my hand cream out in warm air, it will not harden and retains a runny consistency. That is ok, it will still be just as effective. I like my hand cream to harden, however, so I will store it in the refrigerator during warm months. Shea Butter - An especially effective moisturizer, as the moisturizers found in Shea Butter are the same moisturizers produced naturally by your skin. Shea Butter is also gentle enough to be used by those who suffer from skin allergies or eczema. Almond Oil - High in fat content, oil derived from Almonds helps to seal moisture into the skin by creating a barrier on the top of the skin. Almond oil is also safe for those with eczema, and will not exasperate skin that is already oily. Beeswax - The beeswax has two functions in this recipe. First, it helps the cream to set up and firm. Second, it assists the Almond Oil in creating a protective barrier on the surface of the skin. Myrrh - Myrrh Essential Oil soothes skin that is dry or chapped. Cedarwood - Cedarwood Essential Oil is an effective assistant to your skin's sebaceous glands. Lavender - Lavender Essential Oil helps to lubricate and soften skin that has become dry and chapped. In this recipe, it also works to add a softer scent to the Myrrh and Cedarwood which can tend to smell earthy. I prefer this recipe because not only do I know exactly what is in the product I am putting onto my skin, but nothing found in it will cause further drying or irritation. Additionally, every ingredient is naturally sourced. The oils in this recipe also help to assist your body's functions instead of replacing them. Gentle enough for everyday use, with this recipe I always have hands that are healthy and moisturized. Sally Wong is a second generation manual therapist, following in the steps of her mother. Aside from her work as a therapist, Sally enjoys the practice of both yoga and Tai Chi. A strong believer in finding the best essential oils, she hopes that her knowledge of their healing properties is beneficial to others.